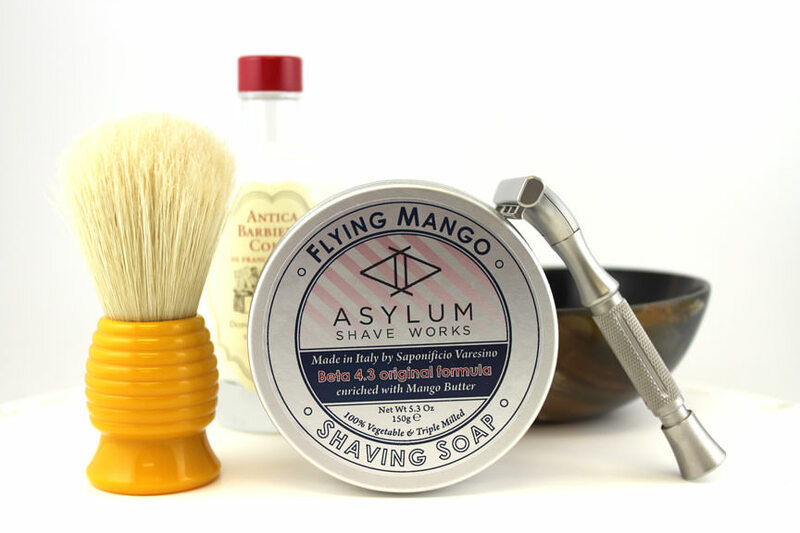 Flying Mango Shaving Soap is Back! Due to popular demand, we have brought back the limited edition Flying Mango Shaving Soap. The soap is made by Saponificio Varesino for Asylum Shave Works and, it utilizes the latest SV Beta 4.3 formula. A healthy dose of mango butter has been added to the formula to improve the post shave feel. The scent is complex -at first whiff you get hints of tobacco leaves. The top note is citrusy and slightly balsamic, the body aromatic with a hint of floral and lavender and the base woody and musky. Does the scent has any resemblance to Icoloniali? (12-16-2017, 07:52 AM)Jags009 Wrote: Does the scent has any resemblance to Icoloniali? No-is has a totally different scent. Awesome news! My all-time favorite soap by SV. Order placed!